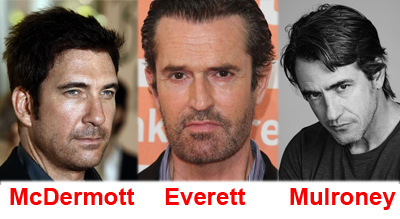 If you're like me, you have a hard time keeping Dylan McDermott, Dermot Mulroney and Rupert Everett apart. (So, are you like me?) You may be able to distinguish the two whose names are similar, and the two who look kind of alike, but how well can you match McDermott, Mulroney and Everett to the films they appear in?